Religion as defined by the 8th edition of the oxford dictionary is the belief in the existence of a god or gods, and the activities that are connected with the worship of them, or a particular interest or influence that is very important in our lives. The former definition is a true reflection of what is obtainable in our society today. Let me further emphasize that religion has been the foundation of modern day division amongst humans after slavery and aside racism. Nigeria is not left out as we happen to be the most religious nation in the world, of that there can be no question, although a vast majority of us lack the mental capacity to comprehend what religion truly means. The Epoch of civilization In Nigeria has produced two major religions, Islam and Christianity with others in existence but in faint forms. In the advent of whatever we have today as religion in which was believed to be the perfect alternative to relinquish us from the slavery of our “cultural barbarism”, NEITHER GOD NOR MAN HAS KNOWN REST. Today Nigeria is faced with a sharp division amongst her people, the different manifestations of this sad situation must be frankly addressed. The most dangerous of these is the widening gap between Christians and Muslims which has been pernicious to our national development overtime. Over the years, religion has been a tool for political manipulations and indirect slavery. Our political elites use the propagandized form of religion to fragment the nation so as to continuously protect their political influences and build their power bases. This singular act has led to many forms of abysmal fanatism and has blindfolded us from seeing the wrongs in the actions of those on our teams. In recent times, we have being faced with several cases of crisis and blood sheds due to this division as the camaraderie that once existed between both parties is gradually effacing ergo arms and swords are being used in-lieu of proper conversations. Despite the heinous acts of brutal killings and destruction of properties, no one has being brought to face the law, evidently the perpetrators of these skull duggery are shielded by “super powers” in our political domain. It is very comfortable to say religion as a subject has caused us more destructions than good. If we look meticulously at the chronicles of our nation we will realise that Nigeria has lost more to religious crisis than to any other form of crisis in her history, an example of a few among many is the Shariah crisis in Kaduna, and the crisis in Sagamu where innocent people were brutally murdered and properties were destroyed. A more recent case was the story in Kaduna after the presidential election of 2011 where PDP emerged the winner. Initially it started as a protest against the results of the elections after one of the contestants was believed to have ultered a belligerent statement on television, with time it generated into a clash between PDP and CPC thugs and transciently into a clash between Christians and Muslims where Churches were destroyed in Northern Kaduna while Mosques were destroyed in Southern Kaduna as vendatta leaving so many innocent people dead and some roasted like yam tubers. However some regions suffer more than others. 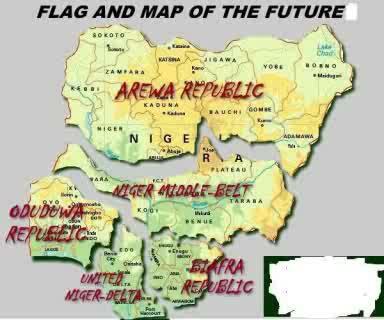 Development in the North is hindered as a result of this division which continously mitigates crisis. The Northern region is known for the poorest infrastructures and unempowered people, most of their blithe leaders embark on pseudo projects that are fraught with corruption and nepotism knowing fully well that they can’t be questioned by their bigoted and shallow minded masses who have being locked in illiteracy and spiritual shallowness. Imagine a case of a governor being praised for sending almost 50 people on pilgrimage in a state that lacks portable drinking water. Kaduna as an example is verbally divided into Southern Kaduna (Mostly occupied by Christians) and Northern Kaduna (Mostly occupied by Muslims), a shocking scenario revealed when Governor Patrick Yakowa died, there were cases of jubiliations in mostly northern part of Kaduna dominated by Muslims because he was a Christian. How grim can this get? The crisis pattern however involves the destruction of churches in northern kaduna and destruction of mosques in southern kaduna. Recently, more priority is being given to defence, as the administration amass huge amounts funding the military anti-terrorism war due to the case of the militants uprising in the north. A dreadful terrorist group who are believed to be against western education has held the region to ransome. Since 2010, the economic activities of the north has been crippled as a result of the situation. More lives are being lost and more people are fleeing the state to look for peaceful dwellings. The last 2years has being the nadir of this dreaded insurgence as several churches, mosques, schools and homes have being destroyed and innocent people brutally murdered. The youths are further brainwashed with twisted religious texts and recruited as thugs to carry out heinous crimes against their own people who are on the opposite sides (other religions). Lately, religion is no longer about preaching peace and morality, two virtues that are so much needed in a perilous time like this, it has become a game of lords, a big business, in which on one side we have perverted hypocrites concealing the truths to gain political immunity and earn their ungodly share of the national cake while on the other side we have a group that believes in propagating enemity between religions and further spread terror and violence. Sadly, majority of Nigerians are unaware that these vile unconscionable Mallams and Pastors who continously push their extremist followers are shielded by armed thugs. The question is: how many of their children or family members have being killed so far in any of these crisis?. An act of “worship” doesn’t involve acquiring material wealth at the detriment of others as or creating enemity amongst people but vice versa. I heard a preacher telling his congregation that the Muslim “Allah” is different from the Christian”God”, how grim and hypocritical? that is how the animus keeps spreading by the same people who are suppose to preach peace and unity. In reality, we all serve one God, the only difference between us is our methods. The more we are advancing, the more these divisions are repackaged and rebranded to suit our orientations, Sadly, even the educated fall for these traps. Today a vast majority of Nigerians feel Christians and Muslims are enemies by virtue of our primordial acqauintances, In reality, this is not so. These clashes have left us with putrid nightmares, injuries and pains with no side being able to vanquish the other, it is pellucid and important for us to see that there is no war between Christians and Muslims and whatever we see and experience is painted by some vile religious leaders who head our religious houses under the detailed instructions of their dare-devils at the top. Nigerians should know that, this division is the style of the oppressors, be it the government or be it the predominant group. They oppress, and then use religion as a means to control the masses, divide them and lead them to submission and defeat. It is time for Nigerians to understand that these ungodly religious leaders are fundamental parts of the plutocracy in our government. They get fat largesse from these people at the top who continously use them as tools to create religious propagandas. Let me bring to our cognizance that these religious leaders that preach divisions and violence hardly lose any member of their families to the outcome of these crises, their families are abroad enjoying the benevolence of their ill gotten wealth or moving in convoys of armed men. It is obvious that both sides (Christians and Muslims) cannot wipe out each other, the best is for us to create an enabling environment where both sides will coexist peacefully. We must avoid being too keen to instructions from some of these preachers and learn to sieve some of these twisted exegesis. We must understand that religion is as corruptible a human activity as any other. Its frontliners aren’t really saints, they are human beings and they do what human beings do- lie, cheat, steal from their members, overstate their importance and degenerate opposing views unfairly. This division is obstructing our development as a nation and our empowerment as a people. We must understand that lack of unity will only make us suffer more as we have being suffering in the past. No nation has ever achieved greatness in division but as a single unit hence for us to achieve anything as a great Nation, we must learn to function as a single impregnable unit where the perfidious feelings will be washed away or be prepared to lose Nigeria forever. GOD BLESS NIGERIA!!! Freedom of speech is not and should not give rise to freedom of hate speeches and speeches capable of causing more division to an already divided nation. As much as we all are free to always express what we feel inside of us, Nigerians need to be very careful especially with the world we are in now that information travel faster than light. Elderly Nigerians should be good role models for the younger generations, though they’ve failed us woefully but shutting up when they have nothing sensible to say will go a long way in helping this sinking ship called Nigeria. The Youths don’t really know who is an elder and who is a Youth anymore because everybody now behave like undergraduates; A former minister behaved like a drunk jambite with access to the internet, spilling all informations nobody asked for and he’s proud of himself, his words defy sanity and shows how much he’s refused to grow up. As much as he is free to display his dumbness, he should limit it to himself and his friends, Nigeria is an already fragile nation, we don’t need him to tell us who owns what and where, we don’t want to know how many Igbo ladies he’s slept with, with his articles a fire of hatred has been lit and it will be very hard to extinguish it, its already causing rancour amongst the youths and if not curtailed it might lead to civil unrest and bring more problem to an already fragile nation. We don’t need people like him in Nigeria, he’s already shown to the world who he is and a thousand articles can’t change it. Some Nigerians without dual citizenship are clamoring for a revolution but how many of us want what Egypt and Libya are currently witnessing, as easy as it is to scream revolution its aftermath is worse than what it tries to eradicate, Revolution will bring more questions than solution, wasting our blood won’t cleanse Nigeria, Hate speeches will further divide us so let’s work together, let’s put Nigeria before our tribe and religion(Not before God), if we all can think of Nigeria first then we’ll have the peace we need. national problem, the ‘bigotry’ in us was unleashed and it was seen as a tribal/regional problem when it actually was a National Issue. The Hausas were mostly silent because there were not affected so it was none of their business that a certain governor disrespected the constitution of the Federal Republic of Nigeria. The second Yoruba group, though very few, argued that it is wrong on all fronts to deport anybody in Nigeria whether sick or dying and that as long as this country stays together, there should be freedom to reside where ever you want irrespective of your tribe or health status. What I expected from Nigerians, especially the educated and enlightened ones, was to address the issue as a Nigerian problem, a slap on the face of every citizen of this great nation and a trampling on our constitution. But it was reduced to a tribal/regional issue thereby allowing an injustice as big as that to go unpunished. The first, second and next governor of any state that has deported and who is still thinking of deporting any Nigerian has turned against the constitution they vowed to abide by when they were sworn-in which is an impeachable offense. But with the kind of politics we play in this part of the world, we all know that impeachment is the last thing that can happen. A public apology and a statement in all national tabloids should be issued not to the tribes deported but to Nigeria and her constitution for the insults she has suffered from the lawless law enforcers in the country. As stated in the Federal constitution, nobody has the right or power to expel any Nigerian anywhere in Nigeria, irrespective of their physical, mental or financial states. Nigeria has been insulted, an apology must be issued and occurrences like this must never happen again anywhere in the country as long as this country remains one. PDP and Corruption: Nigeria and APC!!! Now the APC has been registered and for the first time it seems the ruling party won’t have it easy in the next election which is a good omen for our country and our democracy. Congratulations to Nigeria and Nigerians, at last we’ll be experiencing a vibrant democracy where there is strong competition. The APC will either make the PDP start performing and show Nigerians why the party deserve to stay beyond the next election or help them out of office come 2015 if they fail to earn our votes in the next general elections which at this moment is most likely. Corruption is a big issue in Nigeria and unless there is a change of ideology it will bring our economy to a halt one day, corruption is one of the main reasons Nigerians want the PDP out of government because it is a party swimming in corruption and any party that wants to replace the PDP must be very serious about reducing or killing corruption in Nigeria. The APC is a party of people that have been in position of power in this country before and they sure know what they need to do to curtail the menace of corruption, as we know PDP members are already cross-carpeting to APC which really is something I don’t agree with. Allowing PDP members join APC is like Pouring water into a bottle of gin, there won’t be any difference until it is tasted, though people might think it is gin but once tasted, the truth will be known, most PDP members should be facing corruption charges once they are out of office for the frauds they’ve committed while in office, for a party that is aware of that, fighting corruption must be one of the first three things they must do if they succeed in ousting the PDP come 2015, allowing PDP members should not be on the cards for them at all. 1. If the PDP members that joined APC are guilty of any offense while they were still with PDP, will they be made to answer for it? 2. Won’t allowing PDP members in their midst show how unserious the APC will be about fighting corruption? 3. If APC succeed in 2015, how are we sure, it won’t be the case we had in the past where Anarchy wore too faces, “The creator” in the beginning and the “Destroyer” in the end? For the sake of Nigeria and the next generation I hope and pray that the APC knock out PDP come 2015 and also succeed in making Nigeria a less corrupt nation, but will the ambitions of the APC members allow the party live to see 2015? Can they do better? 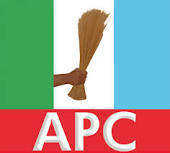 What will the APC do differently? Only time and opportunity can answer these question. NIGERIA IN 2015: Our Fate, Our Fight. After our open acceptance of Democracy in 1999, our thirst for change grew insatiable, we pieced up the various fragments left after the military regimes and entrusted our Nation into the hands of PDP. In this period, the administration and political office holders failed to focus on improving an already rusting situation, instead they focused on sham projects and policies that lock the vast majority of Nigerians in poverty. PDP did not only disempower Nigerians by focusing and protecting their power base and political influence, they eerily created distractions to divert the attentions of Nigerians from seeing these problems and further fragment us based on our ethno-religious differences. After the salt and preservatives of good governance had washed away in some sudden unforseeable monsoon, our democracy turned sour and tortured us with the misama of melancholy. In another episode came a man who scored a direct hit on the sympathy of Nigerians, majority saw him as the “Noah” that will sail our ark to the promise land, despite the chronicles of his atrocities and the history of his party’s ineptitude, Majority of Nigerians still wanted him in, oh why not? He made a pseudo-promise of a breath of fresh air coupled with other attractive packages and for him to have lived through life at a point with no shoes, then he must really understand what hardship and suffering really means. With time, reality gave us a cold frown, we realized those were fanciful campaign charades, guiles and a veneer of whammy packages to come with the last 2 years being the nadir of our democracy. We were betrayed by the man and his party. A new merger party has surfaced, the APC, a merger of the three strongest opposition parties in Nigeria to colour the Nigerian political terrain in a new portrait, to challenge the hegemony in our democracy and put an end to the economic purgatory. They have come to bring an end to the power-thirsty, rapacious and brutal party, albeit they never mentioned all these, but these are the dreams and expectations of tired Nigerians, that come 2015, we will vote out PDP in unison and give APC a chance to save our collapsing Nation, but let’s not be quick to transport to 2015 as we still have to set the tracks straight and understand the gravity of our decision and the task ahead. Firstly, to enunciate the truth, PDP is not just a party of blithe and ungodly politicians, it consists of the master riggers and master strategists, they hold the keys to the nation’s wealth houses, not forgetting the business tycoons and religious leaders who will trade their souls for them because of the immunity they enjoy. They control the Armed Forces, the paramilitary, Secret Service and almost all government parastatals with a subdivison of cabals who are fautsianed to the party and are excellent in skull-duggeries. With the recent merging, they are perspicacious enough to know the cards are stacked against them, but these extremists will stop at nothing to destabilize Nigeria and create more confusion. PDP is still the only party that understand Nigerians and has mastered even the underground patterns on how to stall us, they will never succumb to being effete and that their grip is effacing. No one wants to taste power and leave it. To Oust PDP from office will require a lot more than a strong opposition party and mere banal routines of patriotism, it is going to require on the onset and more importantly a form of re-orientation that should involve the demolition of the fences that fragments us as Nigerians and for us to unite and fight together as one single, impregnable entity. Let Nigerians not hasten to hip our hopes and trusts on the so-called APC, Let’s not be quick to dabble into their succour, let’s not forget so fast how we were manoveured and betrayed in the past, let’s not forget how we were smiled at in the begining and afterwards left to witness the unleash of leering monstrousness. As we prepare for 2015, let us come together and fight against tribalism, nepotism and regionalism. We have to reshape our Nation with the tools of Nationalism and patriotism, only then have we taken the first pragmatic step in preparation for the task ahead in 2015. We have PDP-runaways in APC and with time, we will see more of them dumping PDP for the APC that will be inevitable as they will try to convince Nigerians that they are epitome of political flexibility but take a catfish from the river and put it in an aquarium near the forest and you will still have a catfish. We have to be on our guards for them. As we prepare for 2015, Let every Nigerian know that to liberate Nigeria we must put her first and forget our religious / tribal differences, Let’s not be quick to forget our past, our troubles, our sufferings, our sadness, our pitfalls, because either ways we are a single entity. Let us prepare for the battle to reclaim our Nation, Let us prepare to make Nigeria great again, although success may not be guaranteed but we must advance towards the path that will re-shape Her positively in the future. SO HELP US GOD!